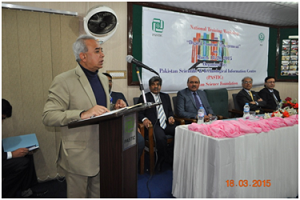 ISLAMABAD (March 18, 2015): There is an urgent need to have latest tools and getting linked with digital libraries such as Thomson Reuters and Biodiversity Heritage Library to read the global mind for carrying out research in this modern age of information technology, speakers stressed this at the inaugural ceremony of a training workshop titled “Digital Content Management” on Wednesday. The workshop was organized by the Pakistan Scientific and Technological Information Centre (PASTIC) at Quaid-e-Azam University. Prof. Dr. Ghulam Raza Bhatti, Member Human Resource Development, Higher Education Commission, was the Chief Guest on this occasion. Prof. Dr. Muhammad Ashraf, Chairman Pakistan Science Foundation (PSF), Prof. Dr. Manzoor H. Soomro, President ECO Science Foundation, Prof. Dr. Khalil Ahmed Ibupoto, Member Science PSF and Prof. Dr. Akram Sheikh, Director General PASTIC were also present. PASTIC organized the workshop to train librarians as master trainers for effective management of digital content using latest soft-wares. Dr. Bhatti quoting an old villager’s saying said it is the news or information without which a man cannot live and it is very important to promptly disseminate it through right means to right persons. He called upon PASTIC to make efforts for setting up imaging lab or get connected with Biodiversity Heritage Library. He offered HEC cooperation for providing digital library link to PASTIC for effective dissemination of information. 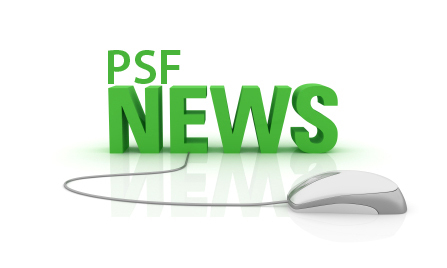 Dr. Bhatti said HEC, PSF, PASTIC and ECO Science Foundation should get linked through digital library to facilitate the researchers of the region by providing them access to scientific literature. The HEC Member said Dr. Ashraf, who has built a soft image of Pakistan in the world through his international research projects, would promote science culture in the country through his versatile experience. Addressing the function, Prof. Dr. Ashraf stressed that PASTIC should make efforts for access to the HEC digital library and Thomson Reuters for enabling scientists and researchers as well as industrialists to use latest tools of information. He said the theme of the workshop is very important as no organization can emancipate in the current scenario without IT tools. He hoped that the participants of the workshop would take maximum benefit from this 3-day workshop and benefit of their skills should reach the end-users. Dr. Akram Shaikh said provision of scientific literature to R&D community is an important activity of PASTIC. He said for information sharing the Centre has trained 850 librarians to digitize their libraries. Dr. Akram Shaikh said PASTIC has been working as focal point of SAARC Documentation Centre. He said it is a great responsibility of librarians to handle information and promptly deliver to persons concerned.